Should you get voice mail, please leave a message. I sometimes don't answer unrecognized numbers. I receive many robo calls and calls where no one is there. Perhaps send an email and see how fast I respond. Steve has over 30 years of experience and consistently ranks in the Top 5% for Coldwell Banker Gundaker – St Louis’s #1 broker with over 1,600 agents. Steve has been named in the company’s prestigious Top 150 List since 2001 and has sold over 1,000 homes. Steve is a Certified Residential Specialist (CRS) and an Accredited Relocation Specialist who has assisted numerous families moving to or out of the St. Louis metro area. 5 STAR CUSTOMER SATISFACTION AWARD - Received for 2019 for the 13th year in a row. <Click> Awarded to only 327 of all 17,915 St. Louis Realtors. Only 13 agents were designated for the past 13 years. Steve has been nominated to receive this award every year since it started in 2006. An independent research firm annually conducts a survey of over 21,000 homeowners whom are asked to name a quality Realtor they had worked with. Lenders and Title companies are also surveyed. Those surveyed also had to favorably answer 9 questions about the service they received. 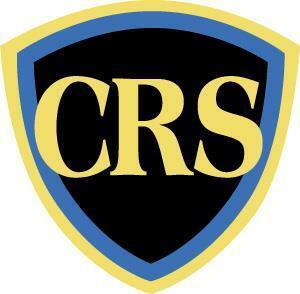 Certified Residential Specialist - Less than 4% of all Realtors hold the CRS® Designation nationwide. The CRS® Designation, awarded by the Council of Residential Specialists, is the highest professional designation awarded to REALTORS® in the residential sales field. Courses are taken over a three week period at a cost af about $1,200. A passing grade of "C" or better is required on the day long test taken at the end of the program. Plus there is a minimum number of years of experience and a minimum number of sale transactions required in order to be eligible for the designation. 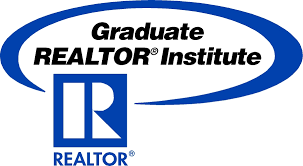 Graduate Realtor Institute - The Graduate, REALTOR® Institute (GRI) symbol is the mark of a real estate professional who has made the commitment to provide a high level of professional services by securing a strong educational foundation. Real estate transactions have become increasingly complicated. New technology, laws, procedures and the increasing sophistication of buyers and sellers requires real estate practitioners to perform at an ever-increasing level of professionalism. GRI designees: 1) Have pursued a course of study that represents the minimum common body of knowledge for progressive real estate professionals. 2) Have developed a solid foundation of knowledge and skills to navigate the current real estate climate—no matter what its condition. 3) Are recognized nationally. 4) Act with professionalism and are committed to serving their clients and customers with the highest ethical standards. Technology Certification as an Internet Professional - Steve holds the e-PRO Designation which provided training to be certified as an Internet Professional. In 2001, the National Association of Realtors (NAR) developed the e-PRO Certification to teach members how to effectively use real estate technology to grow their business. The technology had changed, So NAR changed their real estate technology training for Realtors. The course is taken entirely on-line at a cost of $239. 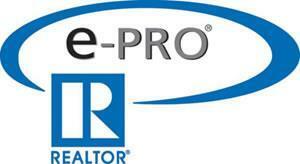 Only about 1% of Realtors nationally are e-PRO agents. CRS is the highest designation a Realtor can be awarded. while CRS agents sold 26% of all homes over the past 5 years. Received certificate "Understanding Cultural Differences"
Top 1% North County listing agent, ALL companies! With an average 97% Sale to List price ratio! BSBA - Business Management and Computer Science.